Making a purchase order of Door or Window Flyscreens could not be easier. Just browse our catalogue of fly screen products and click on any items that you wish to buy, then put them into your shopping basket. After you have finished your selection, click on 'Checkout" and you will be asked for your details for us to be able to satisfy your order. You will be offered delivery to France £14.99 or delivery to UK £7.99. 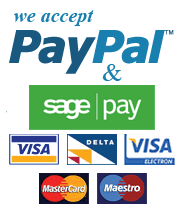 Payments Online - Taken by our secure Sagepay Protx payment provider can be made by either credit or debit cards, or you can pay through Paypal. All cards are accepted except American Express. Payment by Phone - If you prefer to order by telephone, please call 0044 3330 113197 if calling from France or 03330 113197 if calling from the UK 10.00am - 4.00pm Monday to Friday.